A mortgage calculator is one of the many online tools that help you estimate a home loan payment. The Marimark Mortgage mortgage calculator has some great features that will help you decide what type of loan is best for you. The calculator has 2 major features. It’s both a mortgage calculator and a loan calculator. 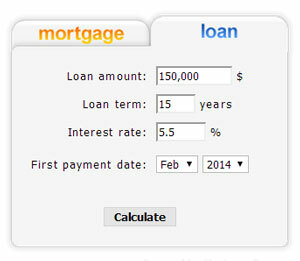 You can use the calculator to do analysis strictly from a “loan” perspective with principal and interest. And you can do analysis from a “mortgage” perspective and factor items such as property taxes, insurance, and PMI. We also have a Closing Cost Estimator to help you estimate the costs in purchasing a home. The Affordability Calculator is at the bottom of the page, and helps determine how much you can afford on a home. After you’ve used the calculators and you are ready to take the next step, contact us to pre-qualify for a home loan. By pre-qualifying for a home loan, you know what you can afford on a home, and what types of loans you qualify for, which makes the purchase process much easier. When it comes to customer service, responsiveness, and knowledge, Mary Catchur is one of best in the business. She is professional, very helpful, really knows the lending business. But on top of all that she is honest, sincere, and really cares about her clients. Mary helped us in the purchase process and subsequently in few refinance processes. She is someone we confide in and seek her advice. We absolutely recommend Mary. She is a pleasure to work with.